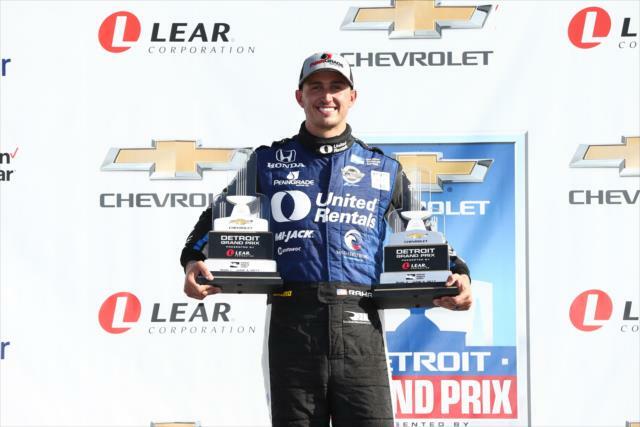 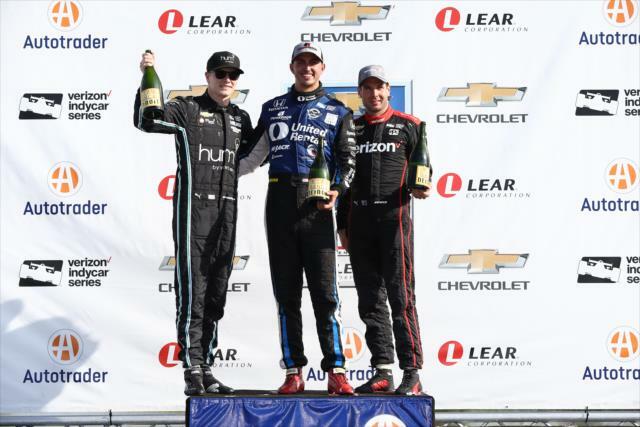 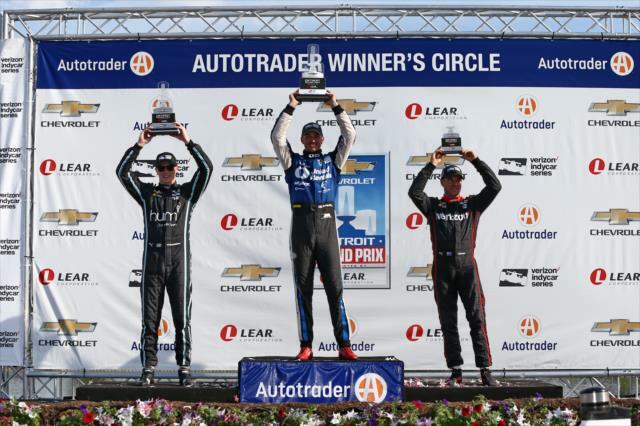 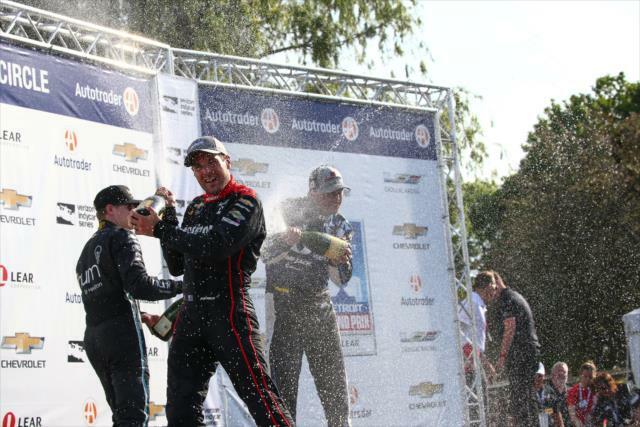 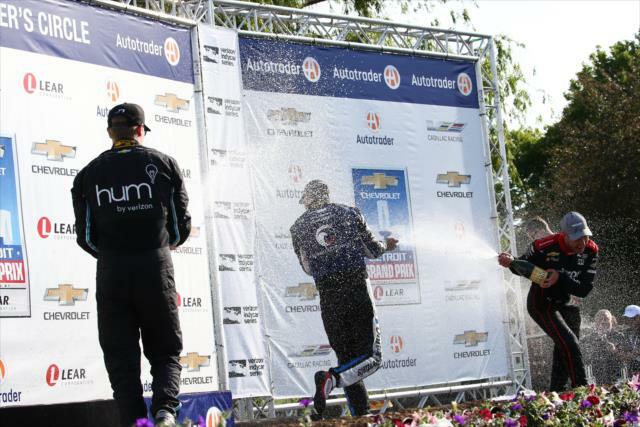 DETROIT (Sunday, June 4, 2017) - Graham Rahal completed a near-perfect Verizon IndyCar Series weekend with another dominating performance today to finish off a sweep of the Chevrolet Detroit Grand Prix presented by Lear doubleheader. 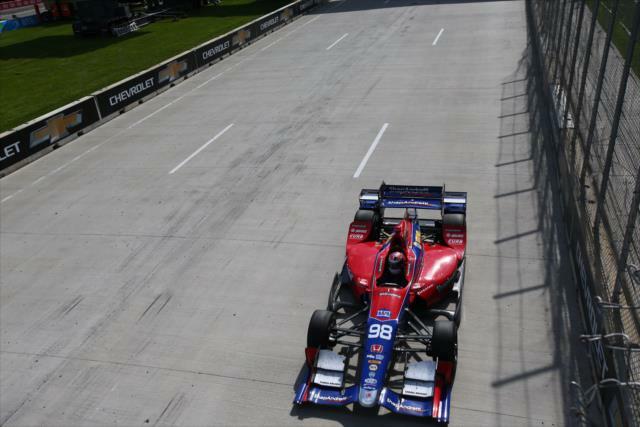 Rahal, in the No. 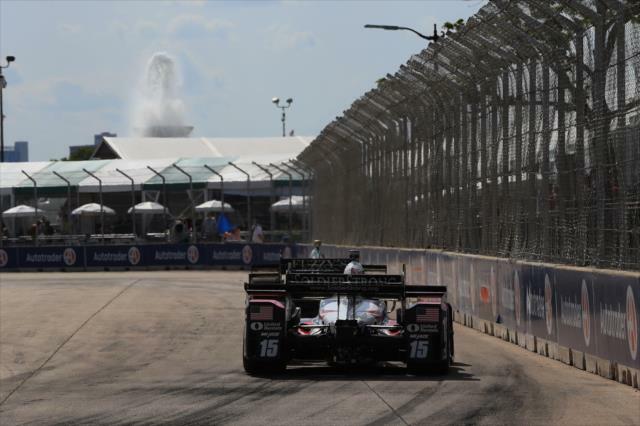 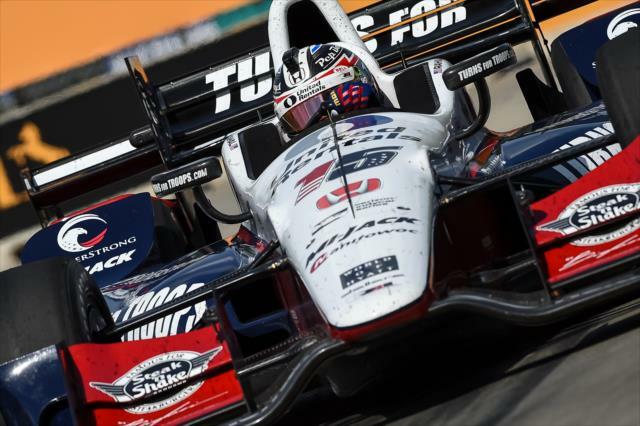 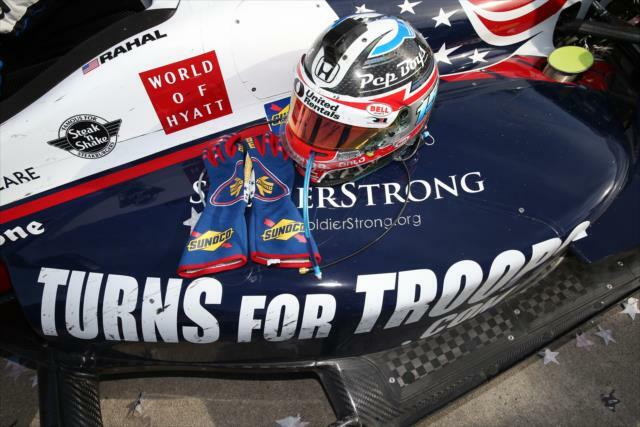 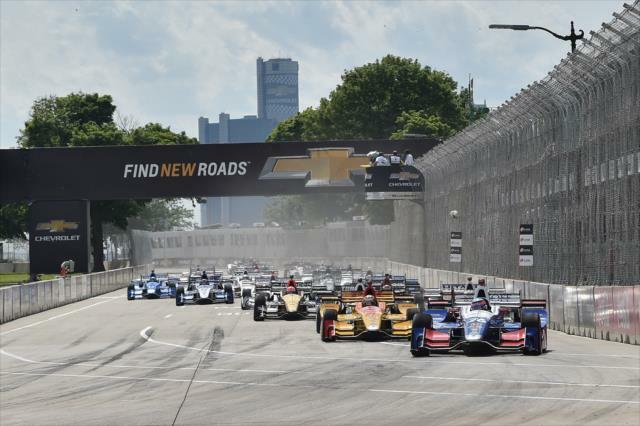 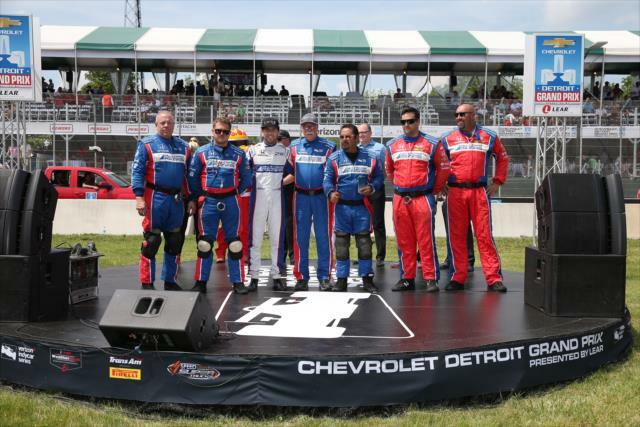 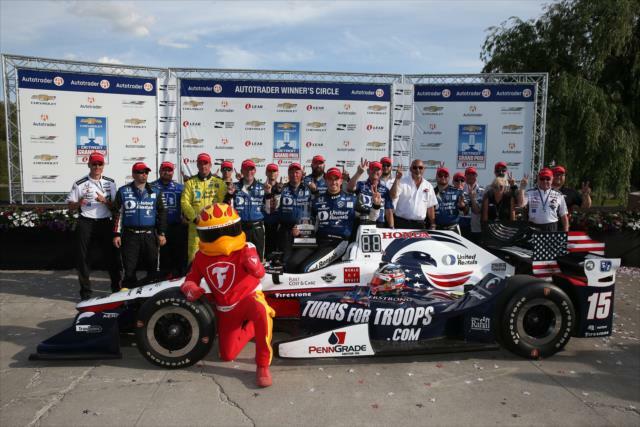 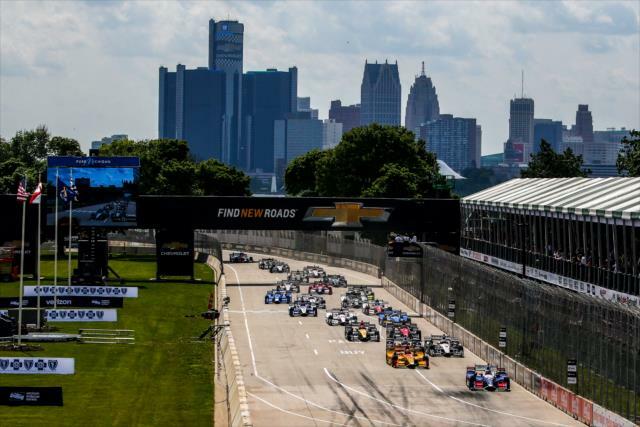 15 SoldierStrong / TurnsForTroops.com Honda, survived a two-lap dash to the checkered flag, holding off Team Penske's Josef Newgarden by 1.1772 seconds to back up his victory Saturday on the Raceway at Belle Isle Park's temporary street course. 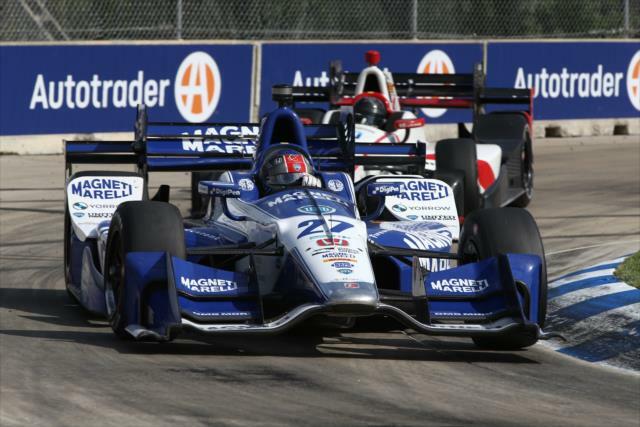 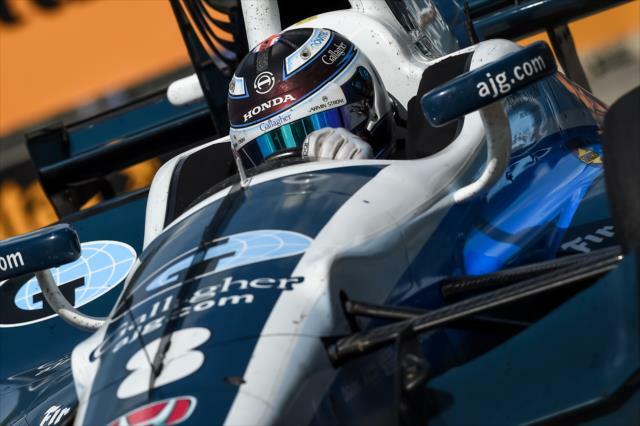 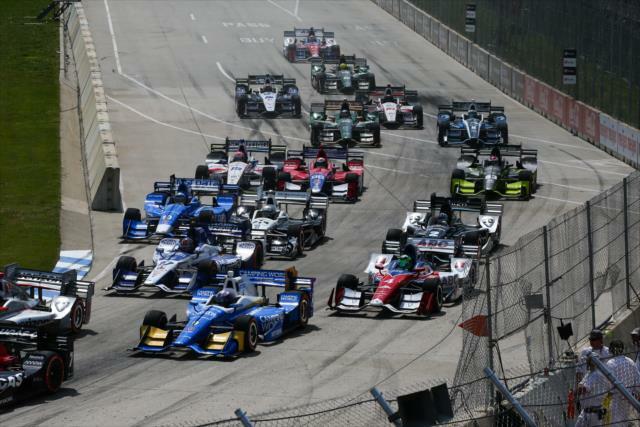 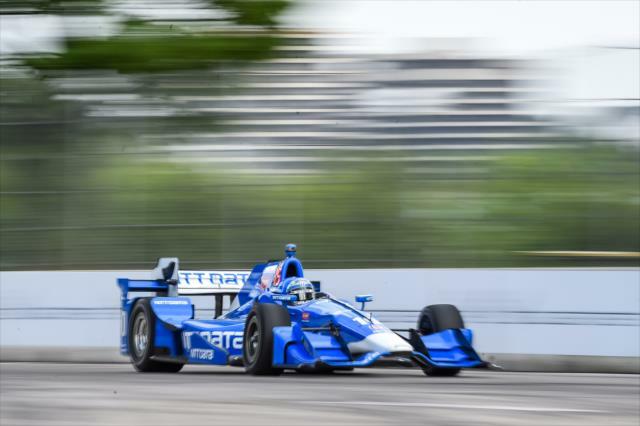 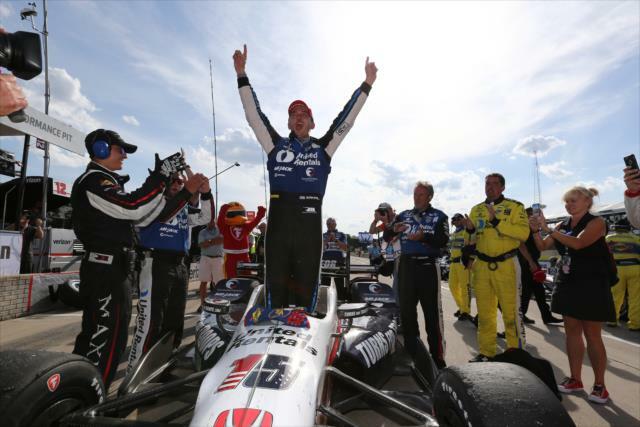 The Rahal Letterman Lanigan Racing driver becomes the first driver to sweep a Verizon IndyCar Series doubleheader weekend since Scott Dixon won both races on the streets of Toronto in 2013. 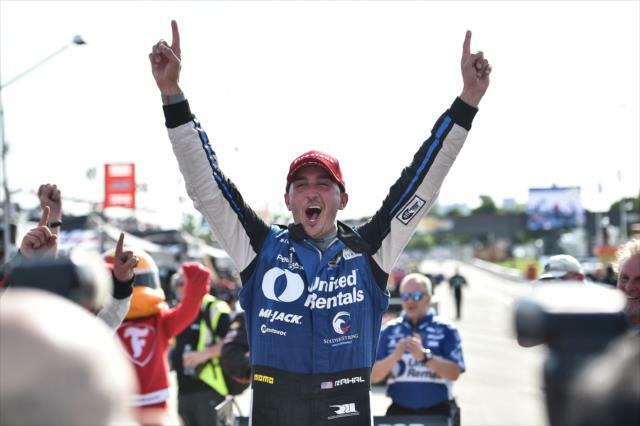 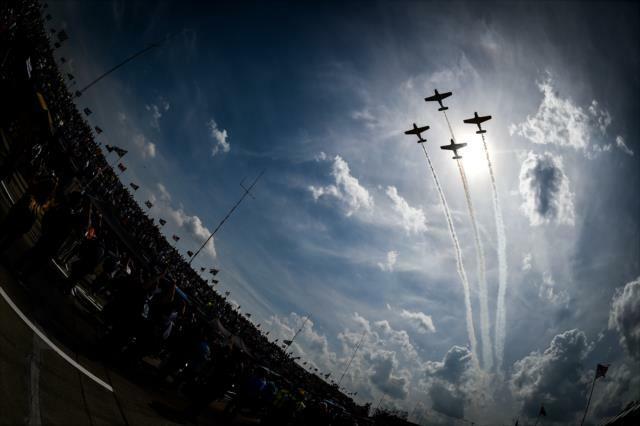 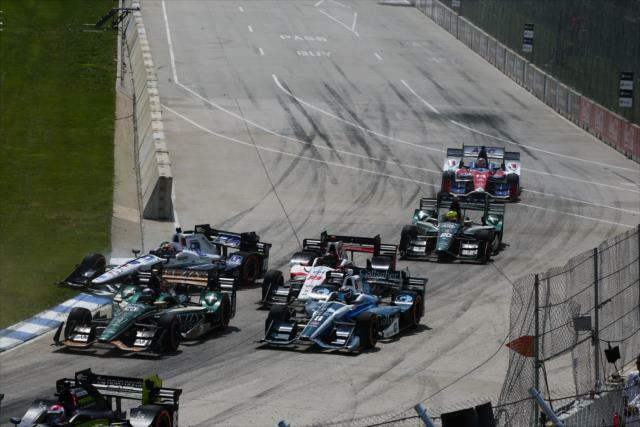 "All around just a spectacular weekend for us," said Rahal, whose win was the sixth of his 11-year Indy car career and the 25th for Rahal Letterman Lanigan Racing. 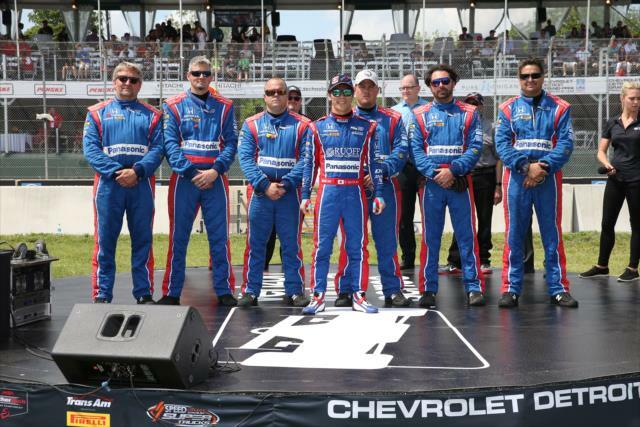 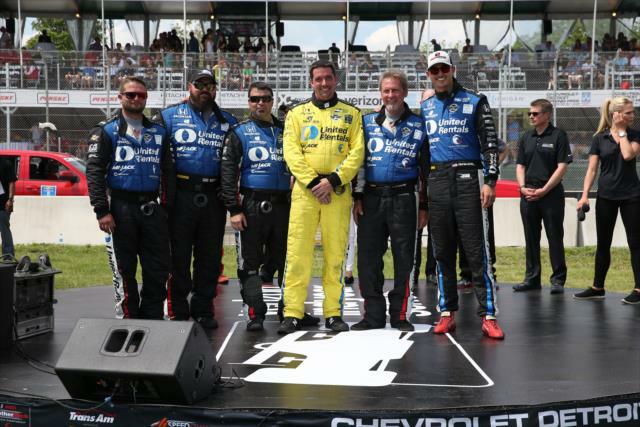 It's the first time the team has won consecutive races since Kenny Brack accomplished the feat in 2001 at Twin Ring Motegi and the Milwaukee Mile. 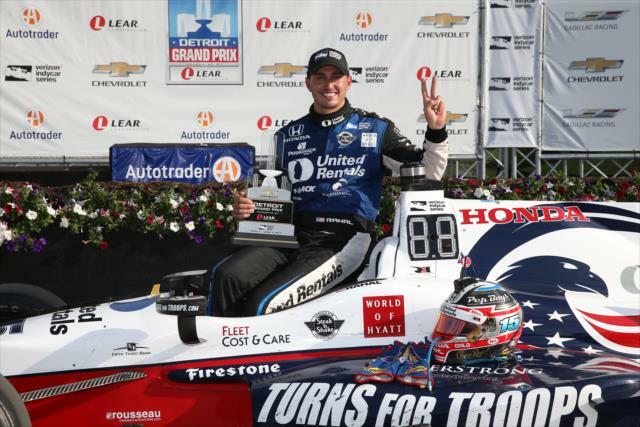 With the two triumphs, Rahal vaulted nine spots in the championship standings, to sixth place after eight of 17 races. 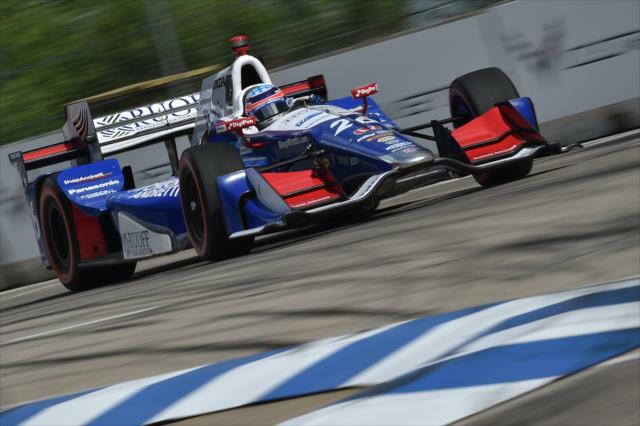 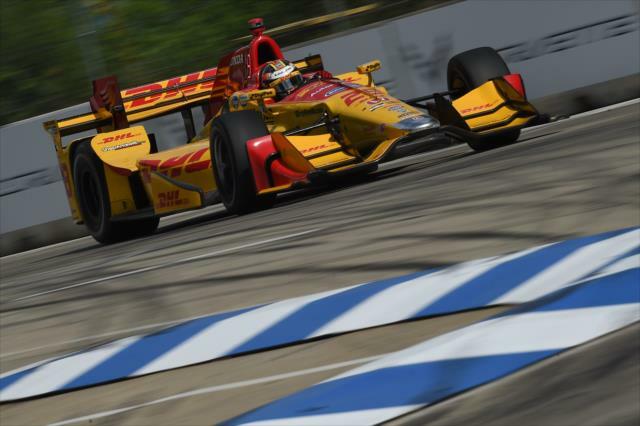 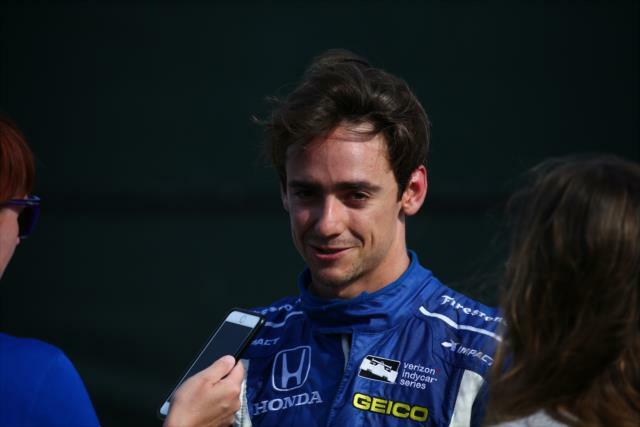 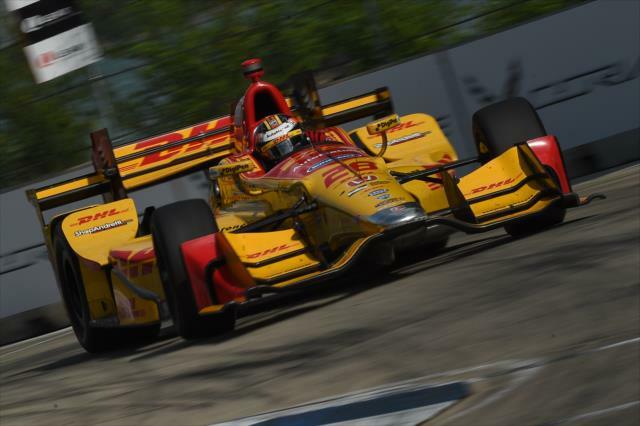 The 28-year-old Ohioan won from the third starting position and becomes the first driver to win two Verizon IndyCar Series races this season. 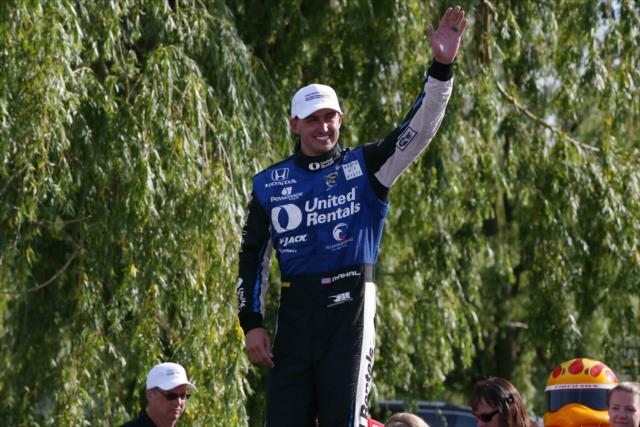 "I could run a really strong pace, better than most guys, while saving a ton of fuel," Rahal said. 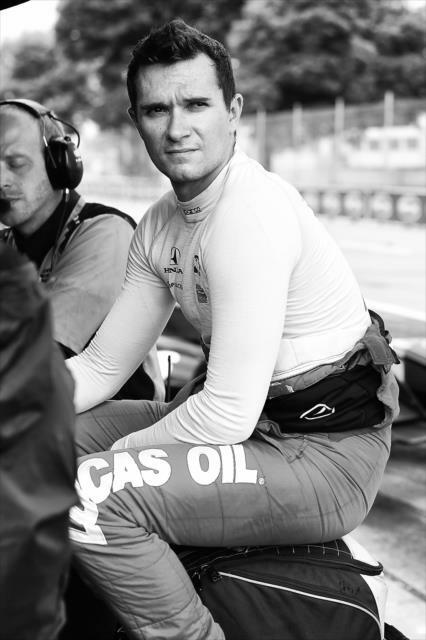 "That's why I say, these weekends, they just don't happen that often. 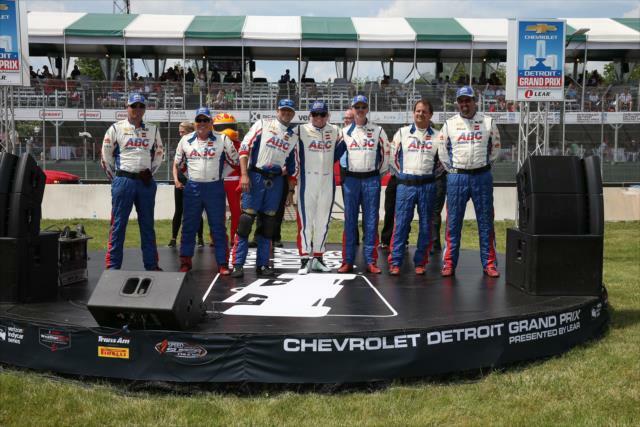 We're the first one to win the double (at Belle Isle). 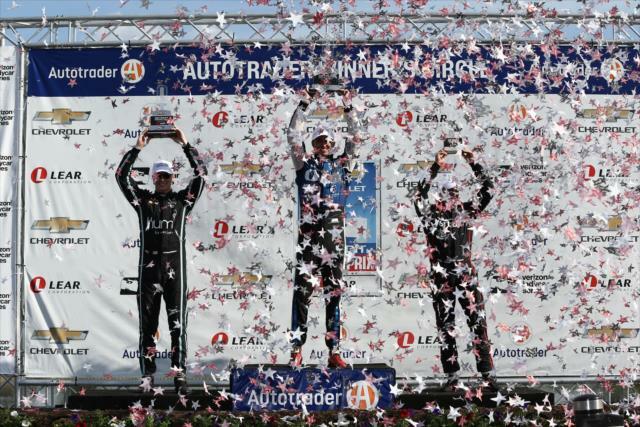 It feels great. 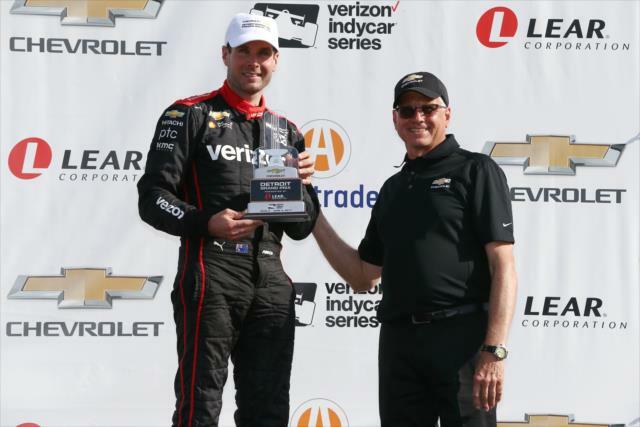 Any day you can beat a Penske driver, it means a lot." 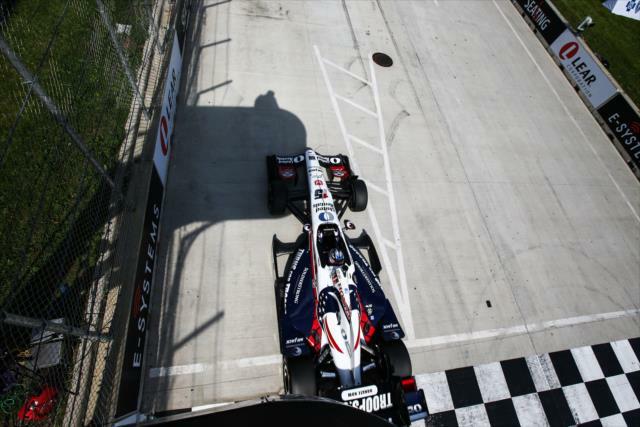 Rahal led 41 of the 70 laps on the 2.35-mile, 14-turn circuit that has hosted 24 Indy car races since 1992. 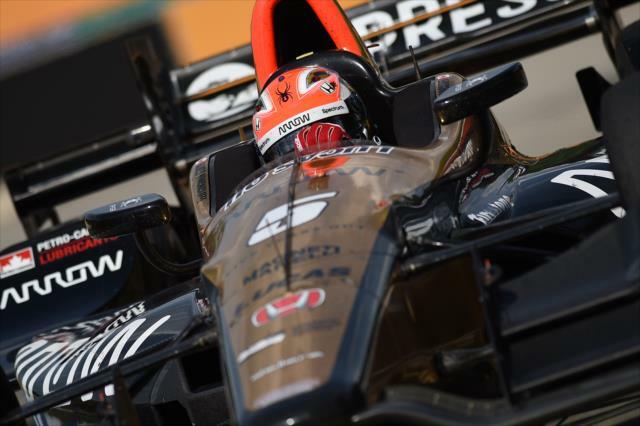 The race ran caution-free until James Hinchcliffe's No. 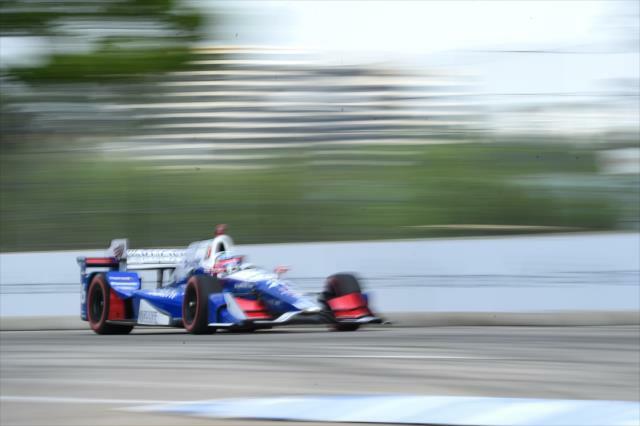 5 Arrow Schmidt Peterson Motorsports Honda stopped on course on Lap 66. 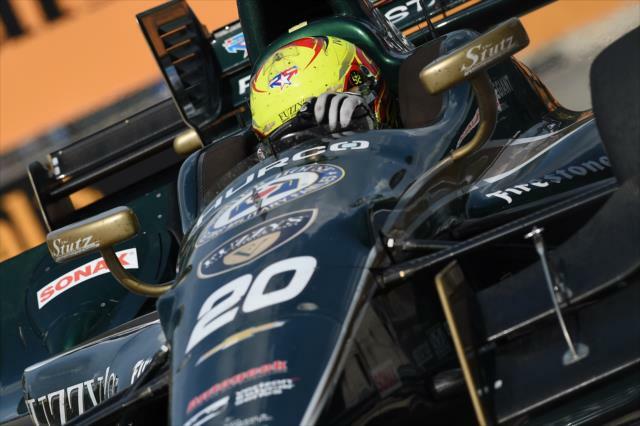 As the remaining cars packed up behind the pace car, Spencer Pigot's No. 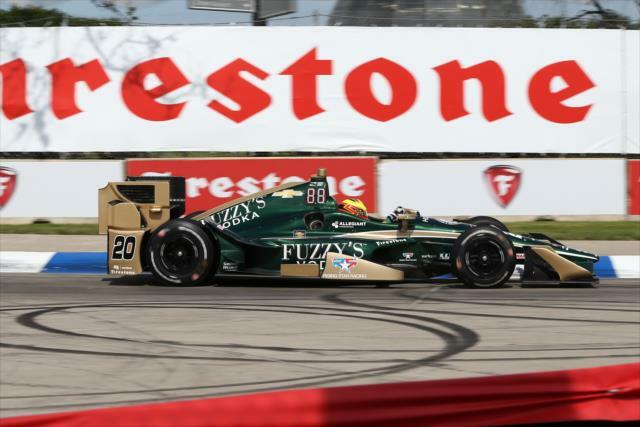 20 Fuzzy's Vodka Ed Carpenter Racing Chevrolet pulled off with smoke trailing from the rear. 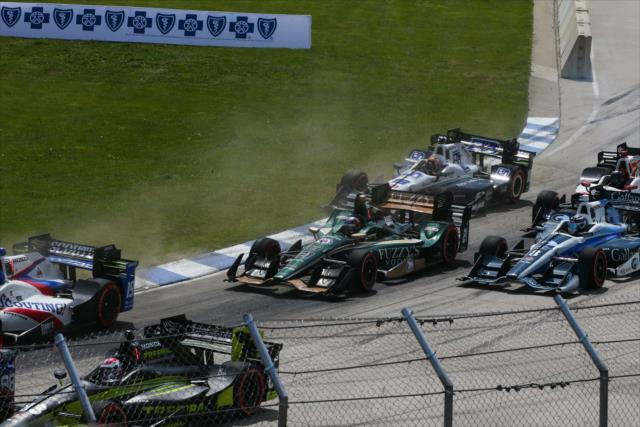 INDYCAR officials red-flagged the race, bringing all cars to a stop in the pits at the conclusion of Lap 67 to give track workers time to clean up both incident areas. 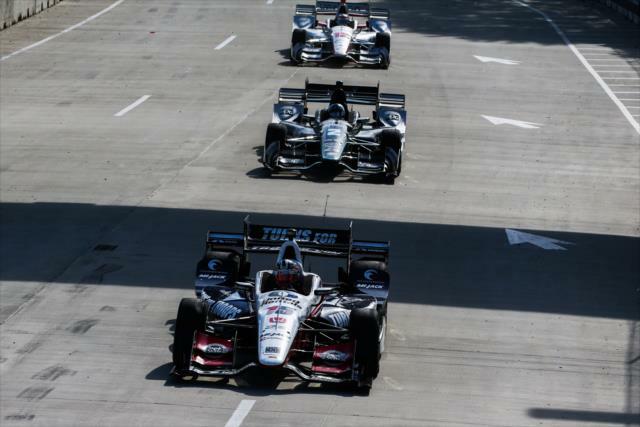 Once engines were restarted, the green flag waved at the end of Lap 68 and Rahal pulled away from Newgarden, the driver of the No. 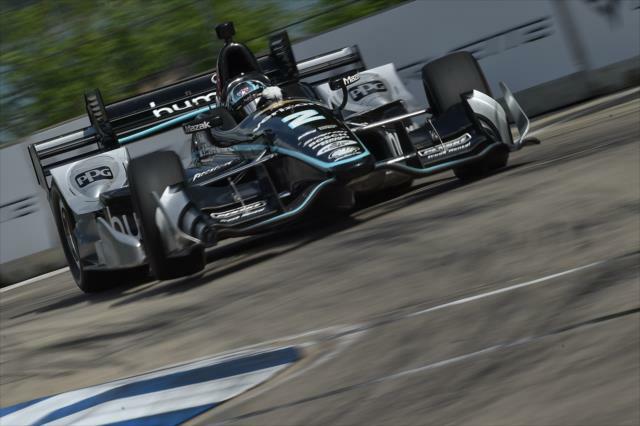 2 hum by Verizon Team Penske Chevrolet. 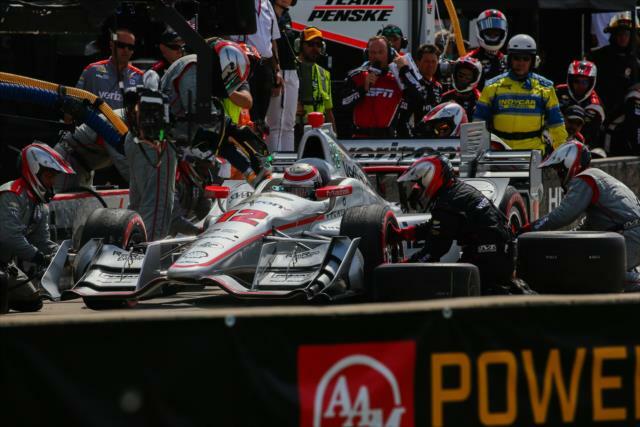 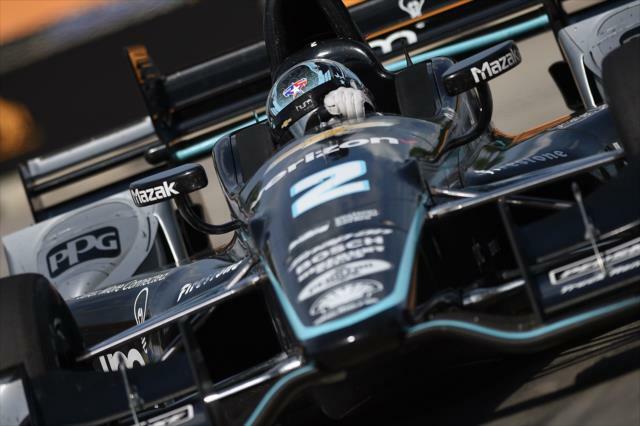 "I think we were all just trying to get to the end there," said Newgarden, who started 13th but took advantage of a three-pit-stop strategy to move forward. 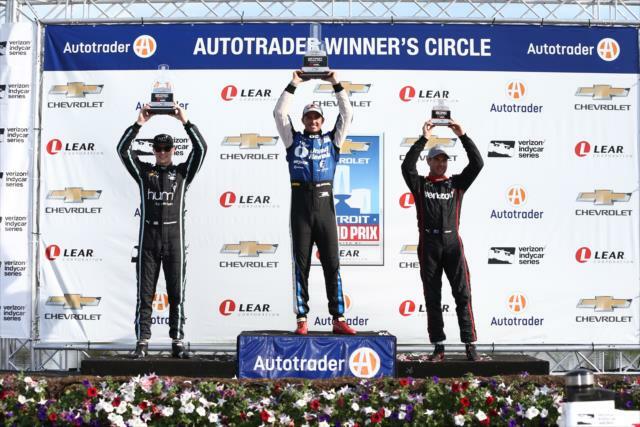 "It was two (laps) to go and we had marbles all over the tires. 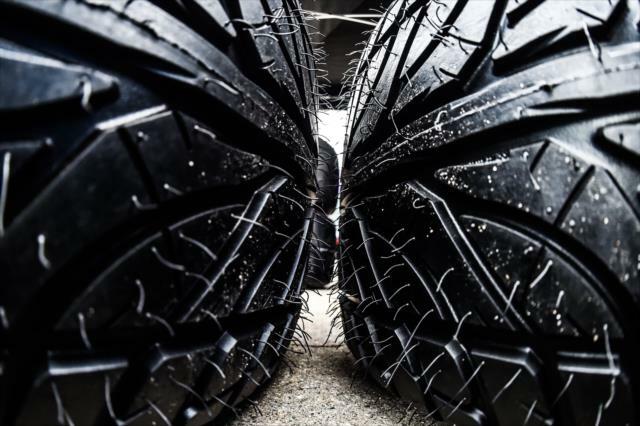 In that type of situation, there's not much you can do, unfortunately. 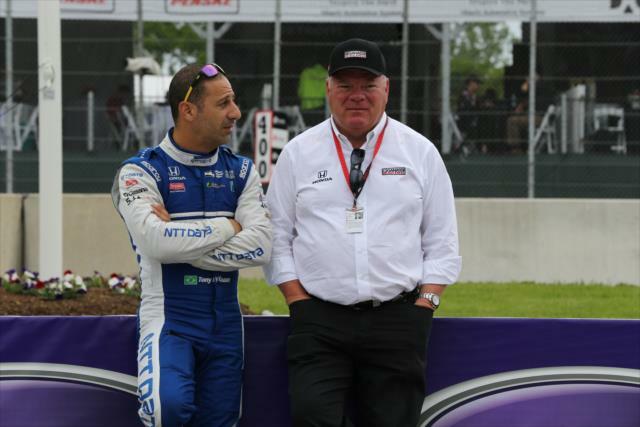 I was hoping Graham was going to make a big mistake because then I would try and capitalize. 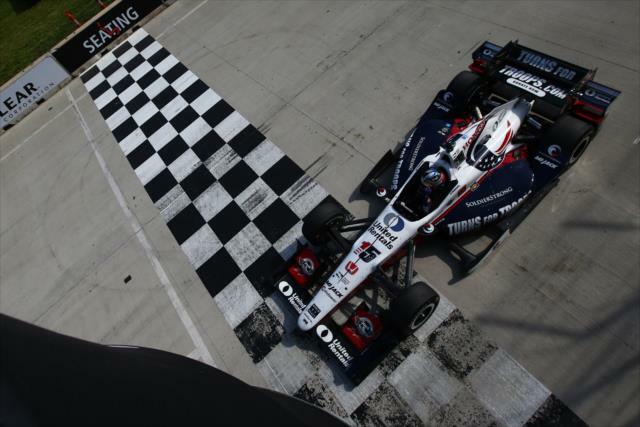 "When it's your weekend, it's your weekend, and Rahal did a great job, him and his whole team," Newgarden added. 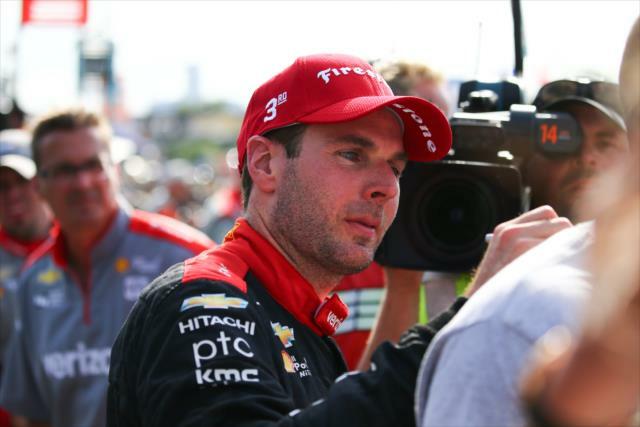 "Good bounce-back for us at Team Penske and the No. 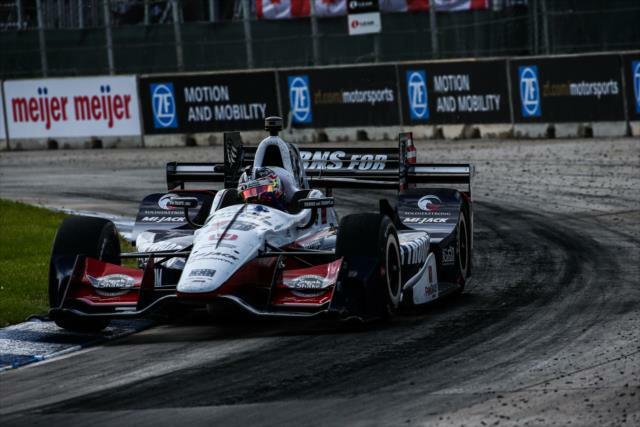 2 Verizon hum car. 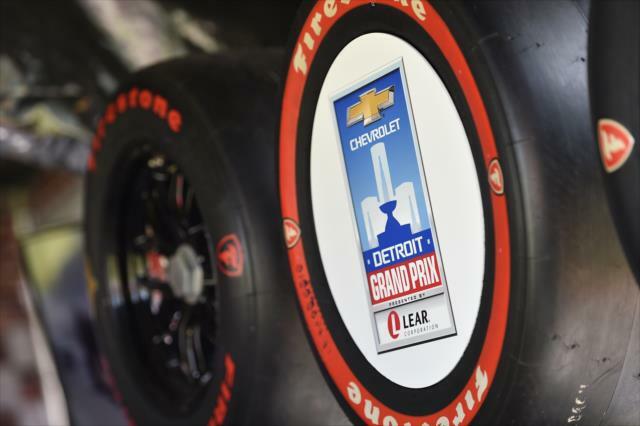 I was trying to get Chevy that win, but not enough for today." 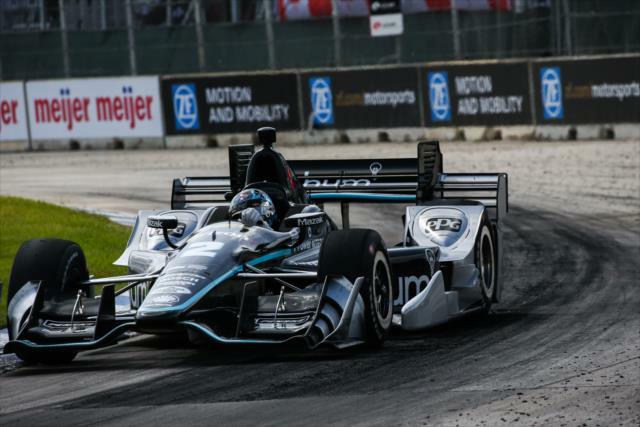 Will Power finished third in the No. 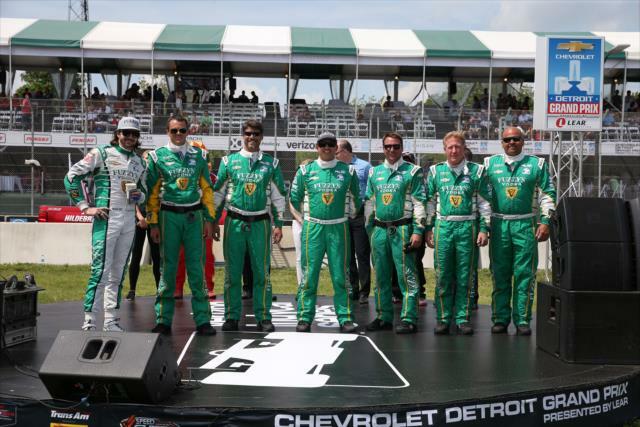 12 Verizon Team Penske Chevrolet to give team owner and Belle Isle race promoter Roger Penske two drivers on the podium. 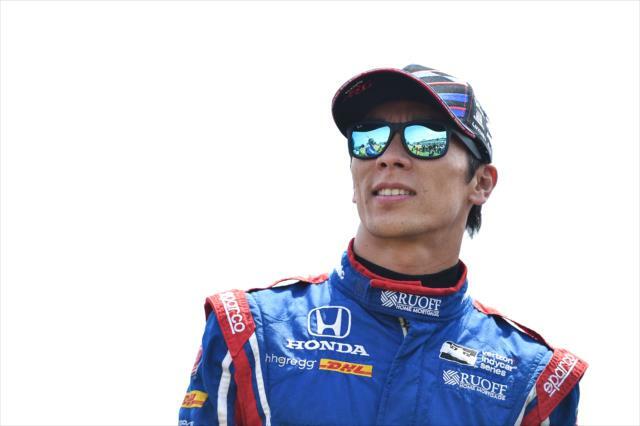 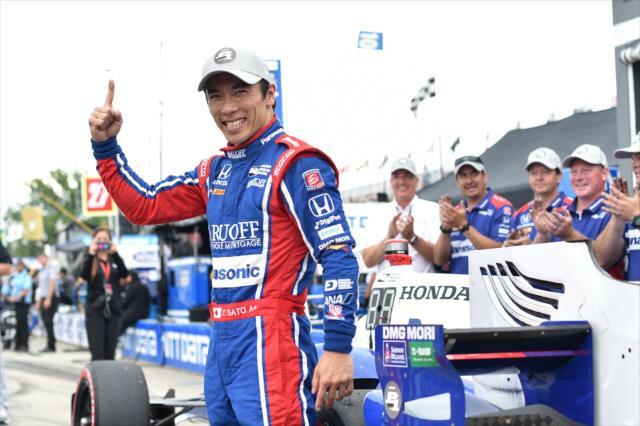 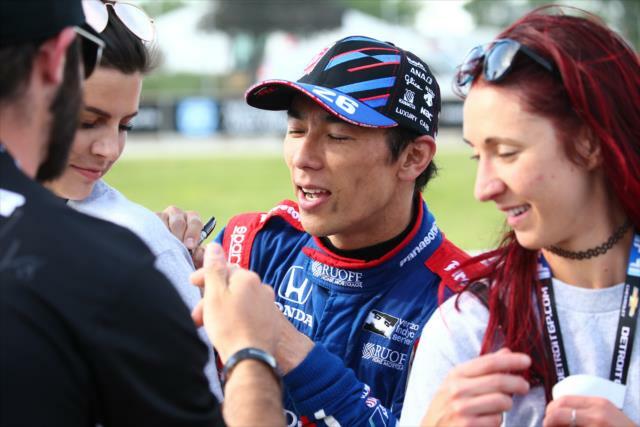 Pole sitter and reigning Indianapolis 500 winner Takuma Sato, who set a track record in winning the Verizon P1 Award in morning qualifying, led 22 laps but finished fourth in the No. 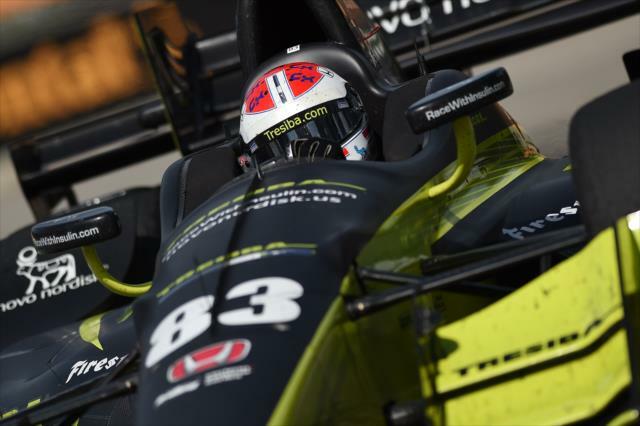 26 Andretti Autosport Honda. 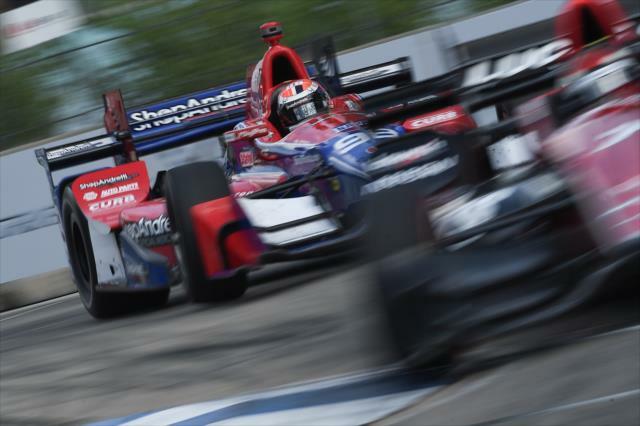 Scott Dixon placed sixth in the No. 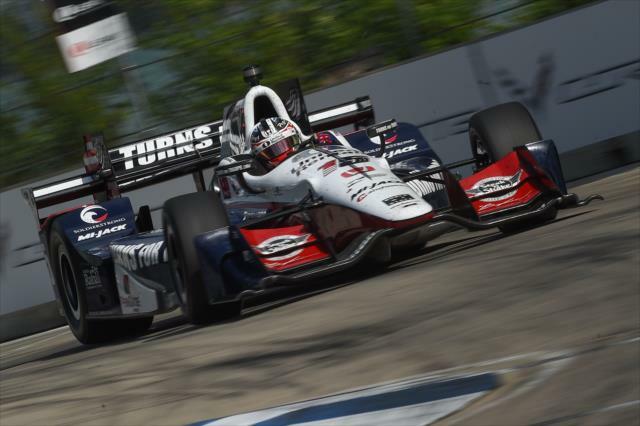 9 Camping World Honda and the four-time series champion retained the points lead he grabbed Saturday. 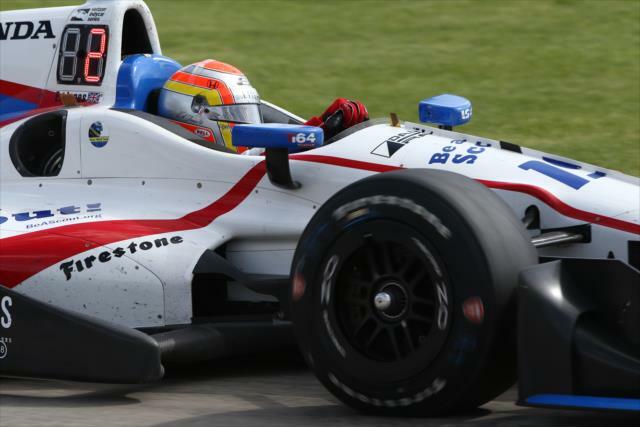 Dixon has 303 points, eight more than Helio Castroneves and 11 more than Sato. 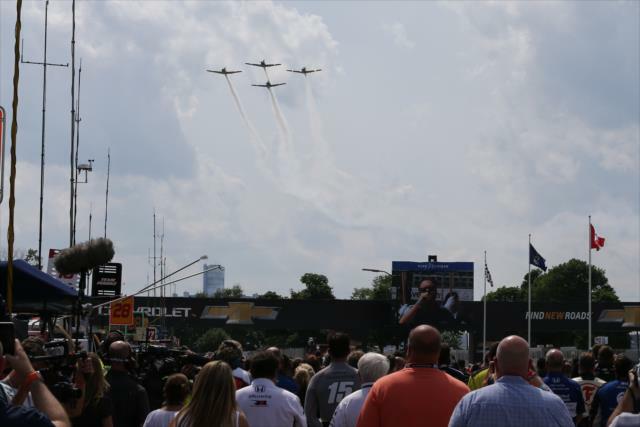 Chevrolet Detroit Grand Prix officials estimated the event's three-day attendance at 100,000, up about 5,000 from 2016.